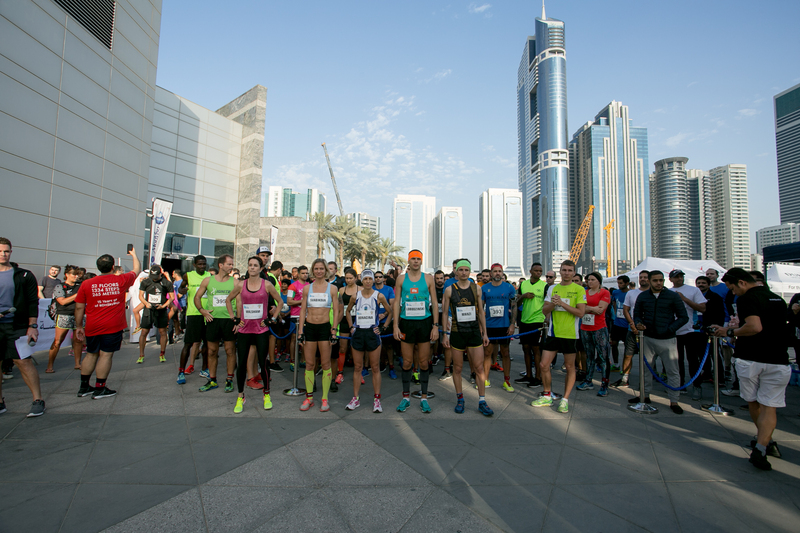 The first stage of the 2017 Vertical World Circuit kicked off with the Dubai Holding SkyRun today, in Dubai, United Arab Emirates with a record field and records smashed. 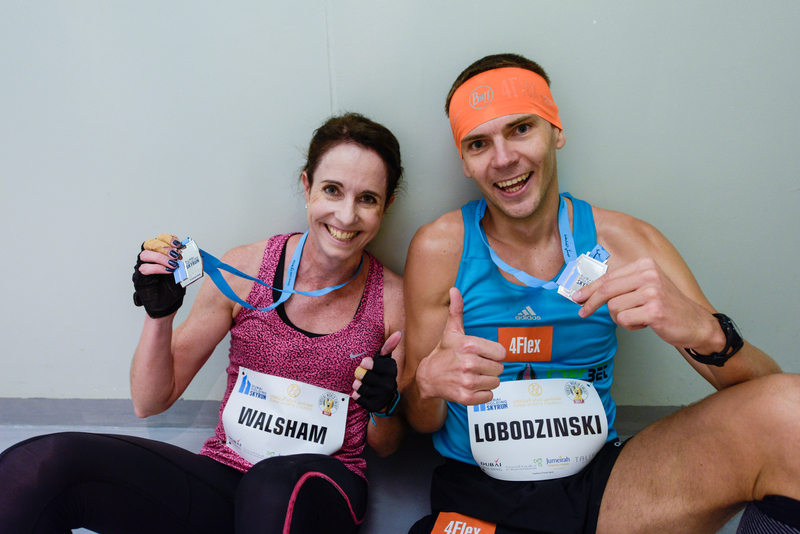 For the second year running, VWC elite runners ascended the 1,334 steps and 52 floors of the Jumeirah Emirates Towers and true to form, the reigning World Champions, Piotr Lobodzinski from Poland and Suzy Walsham from Australia, broke their own records set in 2016. They joined a record field of 419 participants from 57 countries. The winning times were 7’09” and 8’16” respectively. Second man was Italian Emanuele Manzi in 7’32” and third, Rauno Tiits from Estonia in 8’34”. Second lady was Lenka Svabikova from the Czech Republic in 10’16” and Russian Natalia Sedykh placed third in 10’42”. A joint venture between the International Skyrunning Federation and Dubai Holding bring the Vertical World Circuit for the second time to the Middle East. 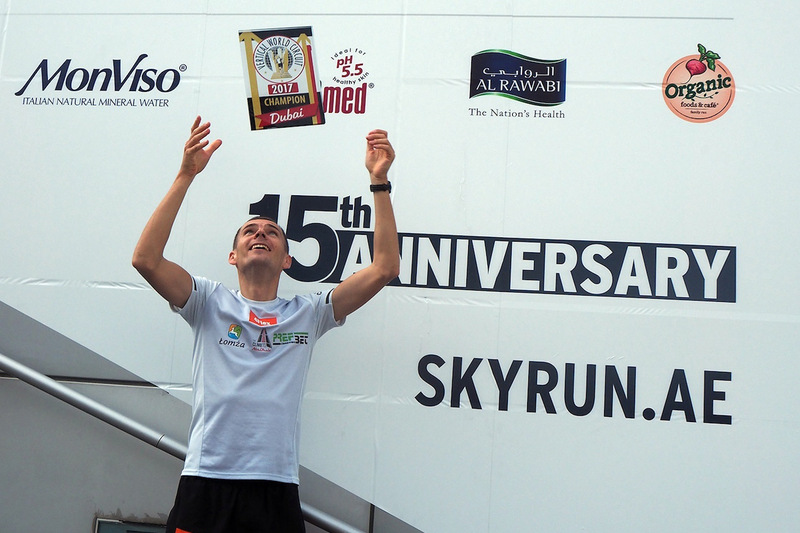 The Dubai Holding SkyRun is the oldest vertical run in the UAE which boasts a 4 star ranking by the Dubai Sports Council, of which it is an official race. After Dubai, the 10-race calendar stretches across the globe touching on iconic cities from London to Paris, to New York, Sydney and across Asia, where Manila, Beijing, Shanghai, Osaka and Hong Kong will host the tour. Next stop on the circuit is London on March 9 with the Shelter Vertical Rush on Tower 42 in the heart of the city’s financial district, where the world’s top runners will converge for the second stage of the 2017 Vertical World Circuit.